By visiting and/or using the MLN website, associated services and functionality ("the website") you agree to be bound by this user agreement ("agreement"). This agreement is formed between you and Mobile Laptops & Notebooks Pty Ltd (MLN) (82 103 239 461) ("us", "our", "we"). "you", "user", "member" and "visitor" means anyone who visits this website. If you choose to place an order using PayPal Express, you agree that an account will be automatically created for you using your PayPal email address, if an account does not already exist. Your PayPal email address, name, address, and phone number will be entered into the newly created account, and you will be emailed your account log in details. The account creation is a requirement for purchasing from MLN, as it is needed to create orders and invoices. We do not take responsibility for direct or indirect damages, or consequential losses suffered by use of fraudulent or unauthorised web address. The only authorised access point is http://www.mln.com.au with no characters before or after "www.mln.com.au"
MLN (www.mln.com.au) reserves the right to decline any orders made for any reason (or no reason), including but not limited to, incorrect pricing displayed, typographical errors (including wrong specifications listed), concern of possible fraud, location of purchase (e.g. outside of Australia), goods out of stock before the order is placed or goods becoming out of stock after the order is placed but before payment is made and MLN notified of the payment. If the customer is concerned about products with limited stock running out before payment can be finalised, the customer is advised to contact MLN and place a deposit to secure the order. No guarantees can be made on stock availability without a deposit placed to secure orders with products of limited stock. MLN reserves the right to delay the shipment of stock, marked as unavailable, for an indeterminate length of time, until the ordered goods are in stock, without warrant for refund. It is the customer's responsibility to contact MLN to enquire about the timeframe until goods will be in stock before ordering. 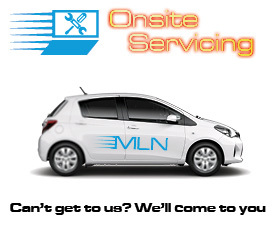 MLN reserves the right to either ship incomplete orders to the customer due to stock availability issues, without prior notice to the customer, with the intent to ship remaining orders once stock is available, or to ship orders whole once all goods are in stock, without prior notice to the customer, at the discretion of MLN staff. In the event that we cancel your order, we will provide a full refund of any payment received. You may cancel your order only if we have not started processing it. A cancellation and re-stocking fee of 20% or $75 (whichever is lower) applies. Please contact us through the enquiry form. The prices of products, delivery, and other charges shown are in Australian dollars and include GST where applicable. Pricing stipulated as RRP is the Recommended Resale Price (RRP) advised by the respective manufacturer, MLN does not control or determine this Recommended Resale Price (RRP) price. MLN franchisees or its subsidiaries are under no obligation to re-sell at RRP or below RRP. Savings depicted online, in print, catalogue, or any other materials, including in store, are representative of the savings off RRP and may vary from store to store. Savings listed in all MLN advertising and marketing material are savings depicted off the RRP unless otherwise stated. Online transactions involving BPay and Credit Cards attracts up to a 1.97% online security and processing fee surcharge due to the cost associated with online transactions. MLN has a 0% surcharge for bank transfers, payments made at any bank branch, and payments made by internet banking for online transactions. MLN have a 0% surcharge for all purchases made in any MLN retail store by Visa, Mastercard, or EFTPOS. MLN strives to keep a low-cost business model in order pass the savings onto you, our customer. 0% Surcharge for In-Store purchases made by credit card (Visa, Mastercard, Eftpos) in person, in store at any MLN Retail store. 0% Surcharge for Online purchases made at the MLN Online store when paying via internet banking, bank transfer, or paying in person at the bank. Up to 1.97% Surcharge for Online purchases made at the MLN Online store when using your Visa or Mastercard to make payment. Up to 1.97% Surcharge for Online purchases made at the MLN Online store when using BPay as your form of payment. You understand that we will use our best endeavours to meet stated timeframes for dispatch and delivery, however many factors can affect these timeframes and we cannot guarantee that they will always be met. The customer agrees to pay all related shipping charges. The customer acknowledges and accepts that it is a requirement to provide a Shipping Address known to have at least one person at all times during business hours, or the customer may incur a redelivery fee of $16.50 if no-one is present at the address to sign and accept the delivery. Delivery time can be anywhere from five (5) to twenty-eight (28) working days. The customer acknowledges and accepts that prompt delivery of their order is dependent on the speed in which the customer makes payment, the length of time payment takes to clear (minimum one working day required), and the length of time it takes for the courier to deliver the goods once the order leaves MLN premises. Please read the Shipping info page of the website for further details on shipping. MLN is not responsible for any goods once they have left MLN premises. Goods in transit are the responsibility of the courier. MLN will endeavour to provide assistance to customers whose packages have been lost or damaged during transit. Orders shipped by courier are insured. In the case of insured packages, MLN will work with the courier company to process the insurance. The customer accepts that insurance claims are a lengthy process (possibly several weeks) and long delays may occur. The customer accepts that MLN cannot ship a replacement order until the insurance claim is accepted and paid to us by the insurer. Products may, from time to time, be opened for inspection or upgrades (such as installing extra RAM) before being shipped out. Also, courier companies may open packages to inspect for security reasons. This does not constitute a used or demo product, and is not a valid reason for a request for a replacement or refund. The product is still deemed as new and unused. Your satisfaction is our number one priority. However, please choose carefully as we do not refund or exchange simply because you changed your mind or the product was not what you expected. Due to the nature of our automatic streamlined online ordering process, picking, packing and sending orders occur as soon as a payment is made, Orders placed online cannot be cancelled once payment has been made. If you wish to cancel your order after a payment has been made, you will need to receive the order and return it pursuant to the below order cancellation conditions – restocking and cancellation fees apply. Our online process is forever improving to provide our customers with faster deliveries. If you wish to return products in their original packaging within 7 days from date of delivery receipt and in saleable condition with all in box items we will provide you with a store credit for the purchase price less delivery fee. Unopened items: Where the package or box has not been opened. A restocking fee of 20% or $75 (whichever is lower) will apply. Please contact us via the enquiry form on our website for a Return Authorisation Number as no returns can be accepted without one. Store credits must be used within 12 months of issue. Store credits may only be used to purchase from MLN and are not redeemable for cash. Where a refund or replacement is to be provided under the terms of this warranty, we may to the extent permitted under the Law require the return of the product to us before refunding or replacing it. Refunds will be issued by cheque, credit card or PayPal at our discretion. You must notify us within a reasonable time of supply of the goods. In this context a 'reasonable time' is from the time of supply until a time that it would be reasonable to expect the relevant failure to become apparent, considering the nature of goods. In many cases this will be 7 to 14 days, but in some circumstances may be longer. Please contact us via the enquiry form on our website. 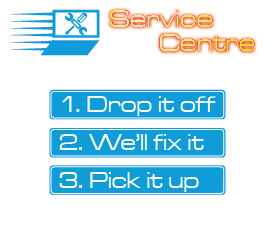 Once contacted we will advise you of the best way to return any products. We may not accept products returned without a Return Authorisation Number. We will not refund or replace a product where in our reasonable opinion the product has following sale to you become of unacceptable quality due to fair wear and tear, misuse, failure to use in accordance with manufacturer's instructions, using it in an abnormal way or failure to take reasonable care. Goods that develop a defect after first use may also be covered by manufacturer warranty. You may also wish to contact the manufacturer regarding returns and repairs. the customer does not provide a copy of the receipt. The customer acknowledges and accepts that in the case of a warranty claim being required, the customer must contact the manufacturer of the product to begin a warranty claim, not MLN. Manufacturer warrantied products are not handled by MLN in most cases. In the case of a product developing a fault within seven days of purchase or a product is dead-on-arrival (DOA), the customer may contact MLN to process a warranty claim after contacting the manufacturer to obtain a Return Authorisation (RA) number. The product is returned in its original condition including all packaging materials, DVDs/CDs, manuals, and hardware. The product is returned with a copy of the invoice. The manufacturer has provided an RA number to the customer, thereby taking responsibility for accepting a return of a product believed to require a warranty claim. MLN has stock available of the exact product model for replacement. The customer understands that if replacement stock is not available, the customer must wait for a replacement to become available, or wait for the seven day period to expire, then make another warranty claim through the manufacturer. In the event that a customer cannot physically return to the store of purchase to return a product, the customer must organise shipment of the product to the store of purchase. The customer acknowledges and accepts that costs incurred due to returning a product to MLN are the complete responsibility of the customer. All warranties outside of the first seven days will be completely handled by the manufacturer. The customer will either return the product to the manufacturer, or the manufacturer will pick up the product from the customer, depending on the type of warranty provided for the product by the manufacturer. The customer must contact the manufacturer to enquire about a product currently in the care of the manufacturer for repair, not MLN. It is the manufacturer's responsibility to repair or replace a product deemed by the manufacturer to have a warrantable fault. MLN takes no responsibility for the manufacturer's policy regarding warrantable and unwarrantable faults. Any concerns or disagreements between the customer and the manufacturer's warranty policy are solely between the customer and the manufacturer, and not the responsibility of MLN. The customer acknowledges and accepts that MLN are not responsible for any data whatsoever existing on a product returned for a warranty claim. Charges will apply if data is requested by the customer to be recovered. Hardware related faults that have occurred during proper usage (Hard Drive, RAM, Optical Drive, CPU, Motherboard, etc that have failed due to manufacturing defects). Faulty hardware will be replaced or repaired at the discretion of the respective warranty provider. Parts and labour costs are included. All Software related repairs, software support, software replacement or reinstallation, including, but not limited to viruses, spyware, incompatible software, software updates, unstable software, corrupted Windows & other software programs, and software problem troubleshooting. Faults due to accidental damage, misuse, abuse, neglect, improper installation/maintenance, modifications, fire, theft, acts of God, power failures, surges or electric shortages, lightning, use outside of the environmental or operating parameters, or use with incompatible third party products. Repairs by non-MLN authorised service providers will not be covered and may void the warranty. Warrantied products must always be returned to the place of purchase. An item which the manufacturer label or logo, rating label, or serial number have been defaced or removed. Preventive maintenance, cosmetic damage, or wear and tear (e.g. scratches, dents, or scratched, faded, or missing keycaps or keyboard cover (if applicable), replacement of missing parts, provision/installation/removal of retrofits or peripherals, replacement or fixes of software, repair or replacement of covers, plastics, or cosmetic parts such as interior or exterior finishes or trim). Consumables including, but not limited to toners, batteries, rechargeable batteries, subscription based services. An inspection fee or repair fee will apply for products booked in under warranty which have non-warrantied faults. For this reason, before an item is booked in for warranty service, the customer must ensure all necessary technical support steps have been followed to ensure the problem is warranty related and must disclose all information regarding the failure of the product, such as whether the fault is a result from misuse, etc. MLN DOES NOT WARRANT THAT OPERATION OF ANY COMPUTER (PRODUCT) WILL BE UNINTERRUPTED OR ERROR FREE. YOU MUST READ AND FOLLOW ALL SETUP AND USAGE INSTRUCTIONS IN THE RESPECTIVE MANUFACTURER'S MANUALS. IF YOU FAIL TO DO SO, THIS PRODUCT MAY NOT FUNCTION PROPERLY OR MAY SUFFER OTHER DAMAGE. EVEN IF YOU DO SO, MLN MAKES NO GUARANTEE OR WARRANTY THAT THIS PRODUCT WILL FUNCTION PROPERLY IN ALL CIRCUMSTANCES. YOU AGREE THAT MLN HAVE NO RESPONSIBILITY FOR DAMAGE TO OR LOSS OF ANY BUSINESS, PROFITS, PROGRAMS, DATA, OR REMOVABLE STORAGE MEDIA ARISING OUT OF OR RESULTING FROM THE USE OF OR INABILITY TO USE THIS PRODUCT AND/OR THE PROVIDED/UNPROVIDED WRITTEN MATERIALS, EVEN IF MLN HAS BEEN ADVISED OF THE POSSIBILITY OF SUCH DEFECT OR DAMAGE. IF YOU DO NOT AGREE TO THIS CONDITION, RETURN THE UNOPENED PRODUCT AND ALL OTHER COMPONENTS OF THIS PRODUCT, IN THEIR ENTIRETY, TO THE PLACE OF PURCHASE AND YOUR MONEY WILL BE REFUNDED. We recommend that you regularly back up software stored on the media. We reserve all intellectual property rights, including but not limited to, copyright in material and/or services provided by us. Nothing in the agreement gives you a right to use any of our marketing material, business names, trademarks, logos, domain names or other distinctive brand features. MLN and mobile laptops & notebooks and other related names and logos are registered trademarks of mobile laptops & notebooks. All information displayed in this website is copyrighted, either by MLN or other copyright owners, and restricted. All content used in this site cannot be used or reproduced without explicit written permission from MLN and other copyright holders. Failure to comply may incur penalties as stated by law. This website is secure using SSL 3.0, is encrypted using a GeoTrust Global certificate, and complies with Payment Card Industry (PCI) standards, ensuring transactions through MLN are safe. MLN does not handle nor store credit card information on this website. Actual processing of credit card payments are handled by ANZ Bank using their eGate payment gateway. All valid MasterCard and Visa credit cards may be used through eGate. MLN is committed to complying with Commonwealth legislation governing privacy of personal information for businesses and to protecting and safeguarding your privacy when dealing with us. If you have signed up for our Deal Alerts or to receive marketing information, you will be sent emails with special promotions and new products from time to time. protect the rights, property, or safety of MLN or others. By making a purchase through this website, you consent to the collection and use of this information by MLN described within these terms & conditions.